Previously known as Punio and hyuzo. 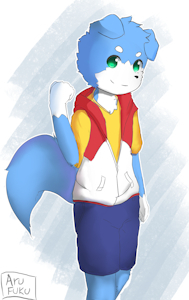 I'm a Hobbyist Artist from Indonesia that likes to draw kemono / kemoshota so much. Thanks for all the support~ >w<)/. Thank you so, so much for the watch, I am really honored and appreciate it! You should Google 'role play'. thank for watching guy I'm glad!